Federal statutes require air carriers, including cargo carriers, seeking operating certifications to be “owned or controlled” by citizens of the U.S. This requirement is enforced by Department of Transportation (DOT) fitness reviews on applicant airlines to ensure they meet the “citizenship” definition as defined in 49 U.S.C. §41102. The purpose of this paper is to address the current state of foreign ownership and control restrictions in the U.S. air cargo industry including; significant legislation and administrative case law, the benefits of removing these restrictions, and the direction the regulatory environment. The first section of the paper discusses significant legislative acts affecting ownership and control. The legislation discussed includes the Air Commerce Act of 1926, the Civil Aeronautics Act of 1938, the Federal Aviation Act of 1958, and the law as it reads currently in amended form. The second section analyzes U.S. administrative agency interpretation of these laws. 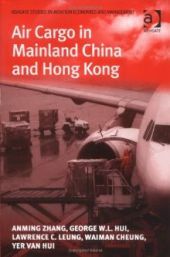 This section analyzes how the DOT interprets the law through major cases including, most recently, The Matter of Citizenship of DHL Airways. The third section analyzes current political initiatives shaping ownership and control including recent efforts to liberalize this area of law. The fourth section discusses expected benefits expected to accrue to the industry should ownership restrictions be eliminated. Finishing off the paper is a brief discussion of recommendations for continuing with the liberalization process. I hope this paper provides the reader with insight into a segment of the certification process, in addition to a greater understanding for the need to change the legal regime that places outdated restrictions on it. An ongoing discussion exists in the air cargo industry on the densities of the commodities. It is heard throughout this industry that the voluminous cargo is getting more and more important. However, all pricing is done strictly on weight1. For voluminous cargo, this volume is then converted by a standard factor of 166.67 kg/m3 (1 metric ton divided by 6 cubic meter – the “1/6 rule”) to the so-called chargeable weight, and if this chargeable weight is larger than the actual weight, all pricing is done using this chargeable weight. It is the goal of this project to determine if the actual densities more or less correlate with the currently used conversion factor. However, to give a full analysis, historical data would be necessary. Since this data mostly unavailable during the course of this study, the results only provide a current status of the densities. The results both for commodity analysis indicate the current real-life standard density of the year 2004 densities is extremely category dependant. The major commodity categories range from a density of 135 kg/m3 for live animals to 495 kg/m3 for metal products, with a wide variation of categories in between these two extremes. However, the most categories, eighteen out of twenty-five to be precise, are situated in the broad 150-250 kg/m3 region. From the above it should be clear that a large variation exists between commodity categories and extrapolating a general rule, such as a 1/5 or 1/6 density rule (1 ton equals 5 or 6 m3) is almost impossible. However, if the conclusion would be based on the statistical parameters of the entire database, a reasonable estimate would be 185 – 200 kg/m3, based solely on the commodity analysis. The second part of this report, dedicated to ULD and aircraft analysis gives another perspective on densities. The analysis whole pallets and containers, each consisting of many different shipments (mostly different commodities on one pallet), indicate the differences between the most frequently occurring ULD’s (PAG, AKE and PMC) are negligible with densities clearly in the 190-200 kg/m3 region. There seems to be one exception, namely the difference between lower deck loaded ULD’s and main deck ULD’s: main deck ULD’s have a much lower density in the order of 160 kg/m3, insinuating the less importance to stack shipments as dense as on the lower deck. The aircraft subpart could only be done of a limited number of full freighter aircraft. From the results, full freighters are mostly volume restricted. The volume usage amounts to 85%, while only 70% of the maximum weight capacity is used. There are a couple important recommendations, namely the use of historic data and the fact that periodic follow up research projects could provide a true trend analysis. Also from the results, it could be viable to use different density rules for different density classes of commodities. Also a sample test for the pallet build-up efficiency compared with the water volumes of the pallets could provide more insight into the true densities of pallets. Finally a prediction factor on cargo level to determine which aircraft fits best on each route could also be very interesting. The freight forwarder has been threatened with ‘disintermediation’ for years. This research looks at the relationships in the global logistics triad comprising the forwarder, the shipper, and the airline or ocean carrier. The middle-man in service industries such as freight forwarding performs the service of intermediation. He is defined as one who reduces or eliminates the need for a buyer to form exchange relationships, ad hoc or relational, with a number of suppliers by concentrating the buyer’s need for information at the buyer interface and expanding the buyer’s requirement for choice or selection at the supplier interface. This vendor contraction and expansion are explored in the qualitative first phase of the research which examines the relationships, shared functions, and roles of the members of the global logistics triad as well as the contribution of the freight forwarder. Modal differences are prominent. Shippers are closer in a relational sense to ocean carriers than to airlines – the exporter is much more likely to use a shipping line directly than to abuse an airline. This modal difference owes much to the airfreight industry’s origins in passenger transportation. It is reflected in the airlines’ perspective of the forwarder: as customer because of forwarders’ purchase of space, as competitor because the airline is being excluded from dealing directly with the shipper, and as collaborator because of the common threat of the integrator. To the ocean carrier, the forwarder is customer and competitor only – collaboration is rare. Factors that affect the custome r/competitor/colla boratort richotomy in airfreight include freight capacity, the level of forwarder commitment to space, the status freight has with the airline, and the makeup of the airline’s customer portfolio. The factors that affect the customer/ competitor dichotomy in ocean freight include the extent of LCL (Less than Container Load) cargo and 3PL (3rd Party Logistics) services offered by the shipping line. The modal differences and complexities inherent in the global airfreight triad were explored in the subsequent quantitative phase. What value does the airfreight forwarder offer to the shipper that would compel him to not disintermediate this intermediary and deal directly with the airline? It is surmised the forwarder offers value through cost reduction, specifically the costs of transacting with a number of airlines. This second phase is based on Transaction Cost Analysis using an experiment-derived survey instrument. The transaction costs of searching for vendors, developing relationships with them, monitoring their performance, handling problems that may arise, and managing potential opportunistic behaviour were examined. The shipper- respondents – made up of British global exporters who used airfreight – were asked to compare their perception of these costs for the forwarder and for the airline. They were also asked about production cost/price advantages as well as demographic information that was presumed to affect these perceptions. The differences between these perceptions of transaction costs were highly significant with the perception of offering lower transaction costs, and hence greater value, lying with the forwarder. The shippers also positively viewed forwarders regarding the production cost/price advantages. However, the demographic variables played little part in the shippers’ differential perceptions of transaction costs. Contribution is made to Transaction Cost Theory by suggesting the inclusion of triadic relationships and the intermediary as a governance alternative. In addition, the freight forwarding industry and global distribution benefit. Finally, at the level of method, the TC comparison technique used offers a fresh approach to comparing primary and intermediary vendors.